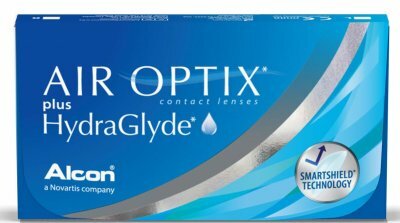 AIR OPTIX plus HydraGlyde contact lenses bring together two advanced technologies designed to provide long-lasting lens surface moisture and deposit protection. Replacement & Wear: Daily wear, or extended wear up to 6 nights. Monthly Replacement.